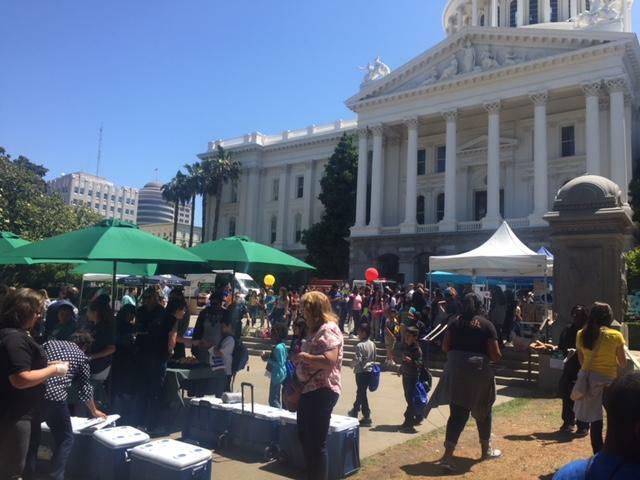 Summer doesn’t have to mean more hungry kids if Sacramento City Unified and other area school districts are successful in their effort to serve one million meals during the upcoming school break. Elected officials such as State Senator Richard Pan and others are participating in the drive to ensure that children still receive nutritious meals when schools close for the summer. During the school year, schools serve an average of almost two million free or reduced price lunches. During the summer that number drops to less than 165,000 lunches. In Sac City, students attending the Expanded Learning Summer Program will receive a hot breakfast and lunch along with fresh, local vegetables and fruits. If you know of a family needing nutrition assistance for their children, please have them visit here for more information and a list of sites serving free summer meals this summer. They can also text the word FOOD or COMIDA to 877877 or call 211 for the most updated dates and meal time information.